I yell at my kids too much. I’m just really busy and I don’t want to be this kind of mom but I find myself often yelling at them when they don’t listen to me. I don’t want to be like that, but how do I stop yelling at my kids? What should I do to calm down? That’s such a common problem, and I hope I can offer some helpful thoughts! Are you Yelling at Your Kids Because You’re Too Busy? We yell because we think the real issue is #2. But what if it’s actually #1? You need to leave to pick up the older kids from school at 3:45. Once you get them you’ll be going directly to karate lessons, so you need all their gear. Because you’ll be at karate so long, you really need to have dinner ready to go when you get home, so you have to have something ready to go. Before you go to school, then, you plan to cut up all the veggies for the stir fry you want to make, marinate the meat, and get the rice cooker on. That way dinner will only take 15 minutes once you get home. Your younger two go down for a nap at 1. Instead of getting dinner ready, you decide to check Facebook. They wake up at 2:30, but they’re playing relatively well, and so you start browsing the news about the Olympics and other things. At 3:10 you realize you really need to get going. You jump up from your computer and start cutting vegetables. At that moment the kids, who had been playing well for forty minutes, start whining about wanting a snack. You’re annoyed. Then you realize that you never switched the wash into the dryer. You spend the next twenty minutes yelling at everybody as you run around like a chicken with her head cut off. 10-year-old Ben has basketball practice tonight and 12-year-old Jessica has hockey practice. You have to be at one rink for practice at 6:15 and the other one at 6:35. You won’t be home from everything until 8:30. You need to have homework done and dinner made and consumed before you leave the house at 6:05. But your husband doesn’t get home to help until 5:45, and you don’t get home until 5. While you’re making dinner you’re trying to get the kids to do their homework, but they’re being really slow. They’re whining. They’re waiting for you to fill in the answers, and you can’t do that and brown ground beef at the same time. You’re really aggravated because you’re only taking them to sports to be nice to them, but they won’t cooperate. You lose it. Do you see what’s happening in both of those scenarios? The children are behaving perfectly normally. The problem is not that the children won’t get with the program; it’s that you have made decisions which makes it virtually impossible for the children to cooperate. In the first instance, you chose to use time when you could have been getting things done to browse the computer; in the second, you’ve overscheduled the kids’ lives, and after a long day kids don’t always want to do homework right away. The problem, then, isn’t that the kids aren’t being good. It’s that what you’re asking them (and what you’re asking of yourself) may very well be unreasonable. Suggestion: Take a look at the last 3 times you really yelled at your kids. Analyze the situation. What was going on? Were you in a hurry? What was your schedule like? Can you trace it back? Is there something that YOU can do differently to prevent getting annoyed with everyone and everything? Are you Yelling at Your Kids Because You’re Afraid of Something? Anger is often a secondary emotion. We often feel anger because it’s “safer” to feel than some of the other emotions–insecurity, fear, guilt. So when someone pushes a button that triggers a “scary” emotion, we often react in anger, sometimes without realizing what the real trigger is. You’ve been teaching your 7-year-old letters and phonics for several years now, and he’s not getting it. He has a little book from school that he’s supposed to read to you at bedtime, but he couldn’t care less. He won’t even try. You’re frustrated and scared that he’ll never read, and you blow up at him when he won’t put in the effort. You want him to grow up to get a good job, not be stuck in some go-nowhere job. In the meantime, you and your husband are having money issues. Your husband never finished his education, though you do have some college. And you’re scared your son will repeat the pattern. You’re scared, and you yell. Or perhaps the house is always a mess and the kids seem to squabble a lot, and you find yourself yelling constantly. But if you analyze your feelings, it’s really that you’re scared you’re a failure. All you ever wanted was to be a wife and mom, and now you can’t even keep a house under control. What kind of mother are you? Suggestion: Next time you find yourself yelling at your children, ask yourself: what am I really feeling here? Am I scared of something? Am I feeling guilty about something? Pray about that feeling instead. You’re trying to feed the baby and your toddler is trying to crawl up in your lap and is making the baby cry. Or maybe you’re trying to talk on the phone and your 4-year-old is constantly pulling at your leg and asking for something. It seems as if you can never get any time alone, away from constant demands! Here’s the truth: kids like to “check in” and know that they’re secure and safe. They know that when they have your undivided attention. 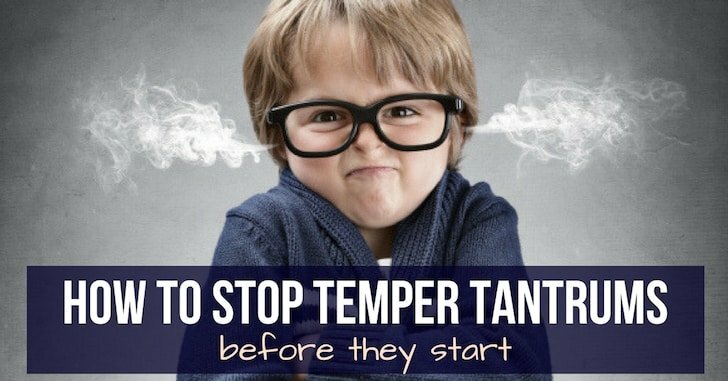 If you can give your child some undivided attention throughout the day, even if it’s just in short spurts, they’re far more likely to let you have some of your own alone time later, as I wrote in this post on how to prevent temper tantrums. Suggestion: Before you start something where you need the kids to leave you alone, take some 1-on-1 (or 1-on-2) time with them. Need to nurse the baby in an hour? Pull the toddler up on your lap now and read a story. Need to clean the house today? Before you start, get on the floor and play a few games with the kids. Make it a habit of giving your kids some attention before you need them to leave you in peace. Yelling is not a punishment, yet when we’re mad at our kids, often the first thing we do is yell at them. If that’s all we ever do, though, kids often learn to drown it out. It doesn’t phase them. You yell; you vent some steam; but nothing really changes. How do I stop yelling at my kids? Try doing something way more effective! It’s better to have consequences for bad behaviour that are immediate, that are known, and that are obvious. So, for instance, if you tell kids to clean up, and then you give another warning, and they don’t, they lose their iPod for a week. You don’t have to yell; you just take the iPod away. (Here’s a bunch of effective discipline techniques for children that won’t induce yelling). I’d suggest having three simple levels of punishments that will work for a variety of things. You could take away iPods or other electronics; you could take away video games and TV; or you could take away outings or fun things. If they’re younger, they could lose a toy. But just have three consequences for each child that work, and put them on the fridge. You can decide then if it’s a Defcon 1 situation or a Defcon 3. When you start following through with consequences, kids usually start listening to you, and listening to the warning, better. Have you ever noticed how little kids especially are more inclined to listen when dad says something? My husband, a pediatrician, says it’s because dads have deeper, and thus scarier, voices. Okay, guys, we’re going to have to go in twenty minutes! So you’re going to have to start cleaning up your stuff, okay? Guys, it’s really time to start putting things away and getting going. I don’t see anyone cleaning up their stuff! Come on, we’ve got to get going! (Yelling) I said to clean up!!!!! Why do you never listen to me!!!!???? But what did that sound like to a child? You’re likely using the same voice that you use for everyday conversation. Most women don’t vary our voice tones very much. Suggestion: If you have something you really want your children to do, use a lower voice and fewer words. Instead of saying, “Okay, guys, we’re going to have to go in twenty minutes! So you’re going to have to start cleaning up your stuff, okay?”, try “Children, Please start cleaning up now.” In a deep voice. Change your tone, and issue a command, don’t make a statement. Let kids know you mean business, and it may not escalate like that. It will feel unnatural, like you’re being mean, but try it! Kids need to know the difference between you talking to them and you asking them to do something. I hope some of those suggestions resonate with you! We all yell for different reasons, and often different triggers set us off. Recognizing those triggers, and seeing the cause, can help us substantially. But He also says that we can do all things through Christ who strengthens us. You can do this because God can strengthen you and help you! So when you feel weak, ask Him to help you be a great mother to these kids. Ask Him to give you patience. Seek after patience in other areas of your life, too. Seek after peace and affirmation from God, so you don’t need it from your kids. And know that even this struggle can help bring you closer to God, and through that He can open the window onto some things in your heart, and can help healing you and your whole family. Now let me know: If you’re trying to stop yelling at your kids, which scenario do you most identify with? Feeling busy? Feeling fear? Finding that kids just don’t listen to you? Which suggestion spoke to you? Or do you have other ones for us? Let me know in the comments! There was just a report out that said more parents are yelling at their children because they no longer spank them. We spanked our children when they were young, before five years old, and very infrequently, only when they disobeyed us. So I asked my four grown children if we ever yelled at them. All four of them said no. We didn’t have to yell, because they obeyed us. I know you don’t like discussing spanking, Sheila, and I am fine if you want to delete this comment but since this report just came out, I though it was very insightful. Spanking, done in the right way, worked great for us. Yelling accomplishes nothing. I do believe that yelling is counterproductive, and responding with discipline immediately is better. The problem is that in the scenarios I mentioned spanking would be incredibly inappropriate. Especially in #1, she’s yelling because of her issues, not the kids’ issues. And learning to use a deeper voice so the kids know you mean business is important, too. Or spanking a toddler because she wants to climb into your lap is really inappropriate as well. It’s better to spend time with that toddler beforehand than to spank them for completely reasonable feelings–they feel left out because you have a new baby. To spank a child when it’s your issue, not theirs, is very unfair, in my opinion. In most of the scenarios I mentioned it’s not the child who needs correction as much as it is the mom! That’s why I wasn’t talking about discipline techniques but about the wider issue here, because I do think often we are the ones who need to adjust our behaviours. I have a post coming up in a few weeks about creative discipline techniques, but today I just wanted to open moms’ eyes to the fact that quite often the reason we’re yelling has very little to do with the kids. Oh, I agree with you, Sheila. We never spanked for issues as you have mentioned, just for open disobedience. I was referring to the first question given to you where the mom said the children didn’t listen to her. So many children don’t listen to their parents because they don’t take what the parents say seriously. They don’t follow up on consequences, etc. Our children knew that when we spoke, they listened and obeyed the first time or else they were disciplined. It just made raising children so much easier. Good advice! I definitely agree with you about mom’s sometimes not having a “serious” tone. This is something I’ve been trying to work on. I STRUGGLE with yelling. I’m outnumbered and outvolumed, and feel like I’m rarely listened to! It’s hard in this house of boys! 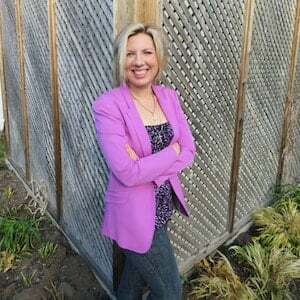 I just wanted to share a terrific resource: http://theorangerhino.com/ – It was one mom’s personal challenge not to yell for 365 days and how anyone can do it, along with ideas to do when you want to yell, etc. I believe she’s well into year #2. It’s a great tool and great site. i second orange rhino as a great source of info. she has a lot of info on how she figured out what triggered her yelling, and very practical ideas of what to do instead. This was a great post, Sheila! I loved how you pointed out that most cases it isn’t that the kids are behaving badly as much as it is the mom dealing with issues. I personally tend to tell when I feel out of control and when busy. I have grown a lot though but soaking in God’s words about how to manage anger and also having some wonderful Christian mentors hold me accountable. I still miss the mark sometimes but I am growing and getting better day by day and that is what matters, right? Thanks for all of your great posts! Awh, thanks! Yep! We are expecting our first in early April. I have one child in particular who seems to push all my buttons. I know it’s because in many ways we are a lot alike. I know he is a great kid and I also know he is sometimes downright rude. And they will say, “him” “you” or sometimes “actually I think it’s a bit of both today”. Just having that outside perspective is wonderful. When it’s him, I keep going in “mom mode”. (Time out is the most effective measure for him, so that’s what I use.) When it’s me, (or both of us), I step away for a minute or two to calm myself down, take a few deep breaths, and work out what’s actually bugging me. And having the help to see which of us it is, has helped me to see it for myself more often – which is great!! That’s wonderful that you have that kind of relationship with your older children that you can check in with them. That means that they can see that you aren’t perfect and that you’re trying to do the right thing, too. I have one child and I tend to yell at her too much. Sometimes it is because she seems to not listen to me if I speak in hushed tones. Other times, we are on a schedule that has to be kept or we will not get everything done. My husband tends to get on to me when I elevate my voice for emphasis and say that I am yelling. I respond to him that I haven’t yelled yet. Finding a happy medium is HARD. Thanks for the insight today! It did help a little. Yes, I agree! That happy medium is hard! Ever feel like a post was written to you? Well this one was. Thanks, I needed this one today. This is so helpful! I admit I’ve yelled at my daughter a few times. Like you said, 95% of the time, it’s my problem, not hers. The other 5% it just gets her attention. My personal rule… no yelling if I’m upset, even if I think I’m justified in being upset! I frequently find that it’s because we’re busy that I yell. My son has clinic appointments at fairly regular intervals, and is 3, but unable to get himself ready, so I have to help him. His older sister is 5 and capable of dressing herself, getting her things together, brushing her hair, etc. On the morning of a clinic appointment, I usually remind her we have to go to clinic, and tell her she needs to be ready to go a couple hours in advance, then go about doing what I need to do (which is, sometimes, on the computer–I’m a writer, too), and I give constant reminders–hey, we’re leaving in 45 minutes! I try to make it pretty serious, and I have a lower voice for a woman anyway (unless I’m excited or in a bubbly mood, which is not common.) I’ve even told her I’d leave her behind if she wasn’t ready (I would never really do it at this age!) But, still, even though this is a really regular thing for us, it seems she’s rarely ready to go when I am, even though she knows what’s expected of her. I absolutely agree with the first scenario being the mom’s issue. I try very hard to remind myself that it is not their fault if I do not utilize the time I have to do something that needs to be done. I also try to remind myself to talk with them and give them their time with me so they don’t feel like i’m ignoring and doing other things all the time. I just have a question about the second scenario. If you claim that it is the mom’s issue because she has over scheduled and what is being asked for is unreasonable should she have told her children no you cannot join these sports because it is going to be unreasonable for me to ask you to get moving by eating and finishing your homework in a timely matter in order to get to this sporting practice? Obviously dinner needs to be ate and there is no way around starting that earlier because of work, homework needs to be done because you need to pass and learn, you have to go to practice if you want to be on the team, you also have to get cleaned up and in bed somewhat early so that you have the ability to function well the next day. What exactly do you suggest about the schedule here? As a mother that’s fine if I am being unreasonable I would be more than happy to say no you cannot play because it will be to busy. I’d rather have to not rush around anyways. But as a mother I also know that saying no you cannot play because we will have to hurry is also unreasonable and not fair. As a child, I was told do your homework when there is time to do it. It didnt matter if I wanted to do it right then or not. If I wanted to be in sports I did my homework when told, not when I felt like it. I also feel like it is my job to teach them how to schedule, how to move quick, and how to get things done. If I let them do what they want when they feel like it and go through days not accomplishing their responsibilities am I helping them to be successful? I’m not talking running them like crazy just normal stuff like being on time and getting things done when you need to. I am really wondering how you “fix’ this second scenario so that it is not “unreasonable”. I am not scared of anything, there is not a underlying issue, I would just be mad that you want to play sports yet you are not doing what you are supposed to be doing. These are their responsibilities as students. I guess it really depends on how often the sports happen. Yes, it’s their responsibility as students to do homework, but I also don’t know how you can get homework done, dinner made, and out the door in an hour or less–and yet that is what happens in so many homes. If it’s one night a week, then the kids can be warned that tomorrow is going to be busy, and so they need to do some of their homework early. But if it’s happening 3-4 times a week, I think it is unreasonable. Maybe your family just really is too busy! It may be doable if the mom was home before 5, or it may be doable if dad was there to help with homework, too, but sometimes the things on our plates just AREN’T doable with the situation we’re in–whether it’s our own work schedules or the kids’ school schedules or whatever. And ultimately we have to choose. But setting up a situation where people feel chronically rushed and always aggravated isn’t really tenable in the long run. Yes, if kids are in sports and school they need to get their homework done, they need to eat, and they need to get to practice. I’m just not sure that this is a good LIFESTYLE if you also want to maintain a peaceful home environment. One night a week, maybe even two, sure. But several nights a week, so that this is your regular life? I’m not sure that’s healthy for anyone, you know? Our schedule is not this hectic yet but I can see it getting that way. I remember being in sports and it is practice at least twice a week and games 1-2 times a week. My son is starting football soon(a month) and my daughter wants to be in dance. I see no way other than telling them no to get around a schedule like this, you cannot say your only going once a week if it is an all week thing. I do know, however, that when these sports start up I would probably take one of my days on the weekend and prepare ahead of time dinners so that they can just be heated on the day of. But the homework thing I think is non negotiable. You wanna play then you do your school work at open opportunity. I also think that I would never get away with saying they cannot play because it is going to make life too busy for us with my husband. He is from a family of 5 boys where each one played sports all year round from the moment they were old enough. They had their homework done and were fed at a reasonable hour. Hard to win any arguments there when your spouse had a mother that did it all and with 5 boys 🙂 and never expected help from her spouse. (FYI I expect mine to help because they are “our” kids, this is “our family” and he lives there too. And he does help me, we have had the we’re a team talk) And they are the most laid back people, it’s weird. It just seems like this second scenario is a lot of people’s regular life style because we let our kids play sports. It cant be all the mothers issue, she is not the only one making this an over scheduled unreasonable schedule. Hi Sheila, Thank you so much for this article. I really needed it. I yell a lot at my kids, and I feel like a failure every time I do. I often justify it by saying, “I was raised by a yeller, so it’s not my fault I yell.” Or, “If I hadn’t had my kids so close together, I wouldn’t be this way.” Or try to blame it on my brain condition or Graves’ disease. Truth is that they do contribute, but they are not the real reason that I yell. I yell because I do have fear. Fear of being a failure, fear of disappointing those around me, fear of raising disrespectful, disobedient children, fear that my children will do the things I did when I was younger, or that their dad did. I have always known that my anger and yelling had to go, but I didn’t know how to make it happen. Thank you for giving me some ideas on what to try. Oh, Deanna, I do understand fear, and I’m so sorry that you’re battling so many! I pray that God will give you peace and confidence and His spirit of strength to get you through! I am a number 1. I constantly mismanage my time and then end up yelling about it. I’ve really been thinking about it a lot the last few days, this post was perfect timing for me. I HATE IT when I find myself yelling at my kids. Your solutions for your examples make a lot of sense, especially because the yelling (in your examples) was really all about the mom’s issue. I think, though, you kind of glossed over another major cause of yelling – the kids have learned to ignore mom because she’s not following through with consistent consequences. I think it was James Dobson who used the analogy of a police officer and a speeder. The officer pulls over the speeder, and what does he do? He doesn’t yell and scream and threaten. He uses a calm, authoritative voice, and he may write a ticket. He is confident and secure in his authority and the speeder knows it and (usually, anyway) responds accordingly. I know for myself, when I found myself resorting to yelling it was a huge red flag that I was not being diligent as a parent! I needed to be more consistent. If I started tolerating delayed obedience, or allowing the kids to ignore me, that kind of disobedience quickly multiplied! When I found myself yelling, usually the kids were being disobedient because I had let things slide. It was time to tighten up the reins and get everyone – myself first – back on course. Obedience must by immediate, complete, without complaint, and without argument. Or the consequences will be consistent, quick, calamitous, and connected. It’s hard work to parent consistently, and we’re not at the end of the race by a long shot. Our kids are not perfect and neither are we! But I can tell you that the rewards are sweet, very sweet, when we put in the time and effort. So, so true! I have a Top 10 Tuesday post scheduled for three weeks from now I think (I’ve written posts for like 2 months in advance now because I have a book due) that’s all about creative consequences and discipline techniques. 2 months in advance? You’re amazingly organized! WOOT! Could not have been posted at a better time for me, Sheila. I just yelled like a maniac at my children IN THE CAR ON THE WAY TO CHURCH! And then I was mad at them for making me feel like a failure AT CHURCH! I was once again reminded that I am a mess and only through God’s grace can I have any chance of being a good parent. Thanks for some great suggestions. So, I have a question about this. Over all I agree, and I think this post did a good job of explaining how it is often not the kids fault. My question is about personalities, culture and family of origin. I do yell, and often regret it. We are both working on not yelling at our kids so much. At the same time though I wonder if this hasn’t become one of those things that moms are pressuring themselves too much with lately. For example my husband and I are both strong type A personalities. We are loud and opinionated and enjoy having lively discussions (politics, religion, education, all the hot button topics). So our home probably seems rather loud to others. Our kids consequently are loud. Since this is our regular volume, it probably seems like we yell at our kids a lot. And while sometimes we do (and call each other out on it, and apologize to our kids when it was unjustified) often its just who we are. I simply am not one of those soft spoken moms who always is sweet and gentle 24/7. I adore my kids, but if I’m mad they’ll know it by my tone. I feel all these posts, blogs and articles about yelling aren’t taking into account that we are just loud. My Dad’s side of the family is the same. To an outside it sounds like everyone is fighting, but there really is a lot of love. Perhaps its our culture, my Dad’s side of the family is Hispanic. Though my mother is a very calm person, I still grew up to be loud. And let me tell you, I love my mother dearly, but being calm and quiet did not make her a perfect mother either. Not trying to disagree with you, just really trying to figure out this balance of being myself and constantly improving as a mom. I can identify with that! Growing up my house was always loud! We’d yell for supper time or to come in from playing or just when we were excited. (Though it was just personality and not cultural in my experience.) At my best friend’s house they never raised their voices for anything, not in anger, not to call the kids for supper, never. And yet, both of us occasionally got “yelled at” (aka angry/frustrated lectures). Sometimes, I think it can be more about tone and anger than about literal volume. I yelled because I am afraid. I am a stay-at-home mother raising two wonderful children, in my opinion. However, I sometime fear that they will not match up to other children because the world tells me that homeschooled children don’t fix-in and they are lonely and isolated from the outside world. Now, I know that this fear is not true and God is working on me with it daily. I am much better at it today, but I think most people fear because they listen to man and not God. Goodness, I needed that today! Lately I’ve been really struggling with yelling at my kids, and even as I’m doing it, I’m hating it, but can’t seem to stop. I love that you gave scenarios for many situations, because I found myself a little bit in every one of them, even though none matched perfectly with my life. I have three young children, toddler through Kindergarten, and so for me, the advice I’m taking to heart is 1) giving my kids attention before I need to do some work and 2) not using my singsong voice when telling my kids to do something. I’d like to add another point to your list of reasons for yelling: exhaustion. While I am usually good about not yelling at my kids, I find myself slipping most often when I’m utterly exhausted, either emotionally or physically (and the kids probably are too, making them grumpier and more prone to misbehavior). If it’s been a really rough day, and then my 8 year old starts fighting with her sister an hour after I put them to bed (and thought they were asleep), well… that’s when I struggle. Oh, oh, oh, thank you for this post Sheila! It is so timely for me! I’m not usually a ‘yelling mum’ but this past fortnight have been getting so frustrated and have been finding myself yelling more and more. I really needed the gentle rebuke in this post. I think I have definitely been too busy and not managing my time well and therefore not parenting well as a result. Thanks again- I will be applying these techniques when my kids wake up from their nap- right now I’m off to get started on dinner instead of spending more time ‘unwinding’ online! This blessed me, some comments made me smile too. Thank you. Thanks so much for this article. I struggle with keeping my cool and not yelling at my kids. This is hands down the best advice I’ve gotten for my problem. Hi! I just wanted to say that I loved this! It was very helpful to me. I have been trying to stop yelling at my children. I feel incredibly guilty after I do so, but it is hard because I often times feel frustrated. Both my children are not yet in school, but old enough to know how to push buttons. A light and breezy tone just doesn’t cut it when my toddler fights tooth and nail to grab at electrical outlet for the 10th time that day, or my oldest keeps smacking his brother on the head with a toy car the second I turn around. But yelling is just dumb. First, it does nothing, and they’re children. What do they know? It’s my job to teach them things. If they make a mistake, I feel that yelling at them only makes things worse. I’ve been looking for ways to keep calm and understand why I yell. I know already I’m the terrified mother. Always afraid of the proverbial axe over my head. If you screw up in any way, you’re a bad mother. There are plenty of people who would love to watch me fail at this one thing I’ve wanted my whole life. So I’m petrified that one day it will be snatched away from me. I know people pay attention. I know there are neighbors who call CPS because they heard someone raise their voice. I just don’t want that to be me. Stupid sounding, I know, but it’s the truth. I feel that yelling is like drilling holes in my boat. It doesn’t help at all. So thank you for this article. It’s nice to know I’m not the only one out there struggling with this knee jerk problem. My children fight constantly that’s usually why I’m yelling, I haven’t figured out a way that works to get them to stop fighting. I have two girls 12 and 6 and a son who is 10, it’s normally my 12 year old that starts the fights she’s very bossy and controlling and gets very upset when the other two don’t listen to her. Jenny, that is so hard, but if I can give any consolation, it would be this: as the mom of daughters, I can tell you that the years when my oldest was 10-12 were the worst for us. I think they go through something hormonal, and combine that with the traits of a firstborn–it’s really tough. But then she got through it and they were all wonderful friends again! So it really does get better. Some stages are just harder than others. All of the suggestions were helpful and I look forward to attempting to utilize some of the tools and approaches you mentioned, thanks. I have been searching and asking God for help with this problem of yelling at my children and finally answers that scratch where I itch! I am fearful of children who are irresponsible because my oldest adult son turned out that way. I also have problems using my time wisely. Really, I identify with all the scenarios. Thanks for strategies I can try in my quest to change. Some of the reader comments helped too. God bless you. So glad it helped, Leshia!